Do you have a suggestion for a bottle bank site in Wethersfield? The Parish Council is aware that the lack of anywhere to dispose of glass is proving a problem for many Wethersfield residents. If you have a suggestion for a suitable site, please contact the clerk by emailing wethersfieldpc@outlook.com and it will be put forward for consideration. 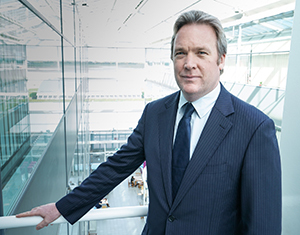 When I joined London Stansted Airport as its new Chief Executive in early September, I was already aware of a number of key issues that were important to our passengers, airline partners and, just as vital, our local community. With around 26 million passengers using the airport each year – an increase of nearly 10 million passengers compared with five years ago – it was no surprise that future growth was at the top of the agenda and, importantly, how we plan for it. Since then, I’ve spent much of my time listening to the views of all those with an interest in our future plans. I’ve been able to take a fresh look at our proposed planning application to grow beyond our 35 million passenger limit and use this as an opportunity to reflect on the feedback we received from across the local community at our events in July. Our neighbours told us that they support growth and investment in the airport facilities and welcome a further increase in destinations and choice. They also told us that they were concerned about the proposal to increase in the number of flights that the airport is permitted to operate each year. We’ve listened to those concerns and decided to adapt our proposals so growth can be met within the current flights limits. That means we will now apply to Uttlesford District Council to raise the cap to 43mppa (million passengers a year) – a smaller increase in passenger numbers than originally proposed (44.5mppa). Most importantly this will be achieved without increasing the existing noise limits. This is an example of community consultation in action – we talked about our plans, we listened and we have amended our proposals accordingly. We have advised the Council of these changes as we believe these plans provide a better balance between ensuring our future growth and support for the regional economy and the impact on our community. This clarity will also ensure that airlines and business partners have the confidence to continue to invest and grow at Stansted. We will be holding a series of feedback sessions in key areas in November 2017 to provide further information on our proposals before we submit a final planning application to amend the cap on passenger numbers, most likely in early 2018. We hope this application will establish the way forward for the airport for the next 10 years. It will enable us to continue to work to make best use of our existing runway, provide more choice and new destinations, more jobs, help us further improve the airport’s facilities and passenger experience and, most importantly, contain our growth within our current environmental limits. Have you been following the latest on Local Plans? The three district/borough councils working on the North Essex Garden Communities project (Braintree / Colchester / Tendring) have now concluded the final stages of their Local Plan consultation, with the plans due to be examined by the Planning Inspectorate in the New Year. These aligned plans are split into two with ‘Section One’ setting out the ambition for three new communities built to Garden Community Principles as a way of managing long-term growth, whilst ‘Section Two’ have been individually written for each council and setting out other planned development. It is the view of the councils that the three garden communities, led through their newly formed company NEGC Ltd rather than through a traditional developer, are a better way of managing housing needs, allowing them to deliver infrastructure ahead of or alongside development, and helping restrict predatory developers. The Local Plans are about setting out the nature of future development and where it will be. At this stage each Garden Community is simply identified by a red circle, and these sites will become more defined as we progress. It is important to stress the red lines are not the edge of development, but simply the broad areas in which the Garden Communities will sit. The next step of this process is to create a more detailed plan for each site, and work will start on this in the coming weeks with a first stage of public consultation commencing on the 13 November 2017, looking at some of the issues and options around each site. For more information on this, visit www.ne-gc.co.uk or individual council websites to have your say. We followed Colchester Community 360 earlier this year to show what a typical day out is for our committed community transport teams<http://links.govdelivery.com:80/track?type=click&enid=ZWFzPTEmbWFpbGluZ2lkPTIwMTcxMDEwLjc5MjM1NDAxJm1lc3NhZ2VpZD1NREItUFJELUJVTC0yMDE3MTAxMC43OTIzNTQwMSZkYXRhYmFzZWlkPTEwMDEmc2VyaWFsPTE3MjUxNzM2JmVtYWlsaWQ9Z292ZXJuYW5jZUBicmFpbnRyZWUuZ292LnVrJnVzZXJpZD1nb3Zlcm5hbmNlQGJyYWludHJlZS5nb3YudWsmZmw9JmV4dHJhPU11bHRpdmFyaWF0ZUlkPSYmJg==&&&101&&&https://www.youtube.com/watch?v=d1Cegs5BpPM> across Essex. These schemes offer a unique service for those who are rurally isolated, have restricted mobility or cannot easily access conventional public transport<http://links.govdelivery.com:80/track?type=click&enid=ZWFzPTEmbWFpbGluZ2lkPTIwMTcxMDEwLjc5MjM1NDAxJm1lc3NhZ2VpZD1NREItUFJELUJVTC0yMDE3MTAxMC43OTIzNTQwMSZkYXRhYmFzZWlkPTEwMDEmc2VyaWFsPTE3MjUxNzM2JmVtYWlsaWQ9Z292ZXJuYW5jZUBicmFpbnRyZWUuZ292LnVrJnVzZXJpZD1nb3Zlcm5hbmNlQGJyYWludHJlZS5nb3YudWsmZmw9JmV4dHJhPU11bHRpdmFyaWF0ZUlkPSYmJg==&&&102&&&http://www.essexhighways.org/Getting-Around/bus/Accessible-Transport/community-transport.aspx>. Have you ever wished there was one website with every timetable for buses in Essex? We did too and that is why we have set up www.essexbus.info. The simple to use map allows you to click on more than 9,500 bus stops including individual timetables and more than 500 routes across the county. It even includes a journey planner with train times to help link up your journey. Keep up to date by following each account on Twitter. Visit Traveline<http://links.govdelivery.com:80/track?type=click&enid=ZWFzPTEmbWFpbGluZ2lkPTIwMTcxMDEwLjc5MjM1NDAxJm1lc3NhZ2VpZD1NREItUFJELUJVTC0yMDE3MTAxMC43OTIzNTQwMSZkYXRhYmFzZWlkPTEwMDEmc2VyaWFsPTE3MjUxNzM2JmVtYWlsaWQ9Z292ZXJuYW5jZUBicmFpbnRyZWUuZ292LnVrJnVzZXJpZD1nb3Zlcm5hbmNlQGJyYWludHJlZS5nb3YudWsmZmw9JmV4dHJhPU11bHRpdmFyaWF0ZUlkPSYmJg==&&&110&&&http://www.traveline.info/> or www.essexbus.info for public transport information and journey planning advice. Follow @Essex_PT<http://links.govdelivery.com:80/track?type=click&enid=ZWFzPTEmbWFpbGluZ2lkPTIwMTcxMDEwLjc5MjM1NDAxJm1lc3NhZ2VpZD1NREItUFJELUJVTC0yMDE3MTAxMC43OTIzNTQwMSZkYXRhYmFzZWlkPTEwMDEmc2VyaWFsPTE3MjUxNzM2JmVtYWlsaWQ9Z292ZXJuYW5jZUBicmFpbnRyZWUuZ292LnVrJnVzZXJpZD1nb3Zlcm5hbmNlQGJyYWludHJlZS5nb3YudWsmZmw9JmV4dHJhPU11bHRpdmFyaWF0ZUlkPSYmJg==&&&111&&&https://twitter.com/Essex_pt?ref_src=twsrc%5Egoogle%7Ctwcamp%5Eserp%7Ctwgr%5Eauthor> on Twitter for Essex public transport information from the Travel Information Team at Essex County Council. View the latest online version of the Essex Bus & Train map<http://links.govdelivery.com:80/track?type=click&enid=ZWFzPTEmbWFpbGluZ2lkPTIwMTcxMDEwLjc5MjM1NDAxJm1lc3NhZ2VpZD1NREItUFJELUJVTC0yMDE3MTAxMC43OTIzNTQwMSZkYXRhYmFzZWlkPTEwMDEmc2VyaWFsPTE3MjUxNzM2JmVtYWlsaWQ9Z292ZXJuYW5jZUBicmFpbnRyZWUuZ292LnVrJnVzZXJpZD1nb3Zlcm5hbmNlQGJyYWludHJlZS5nb3YudWsmZmw9JmV4dHJhPU11bHRpdmFyaWF0ZUlkPSYmJg==&&&112&&&http://www.essexbus.info/>, which is being updated monthly. The Art of the Possible festival wants to celebrate the good things that happen in communities across Essex. If you have an idea for an event that would inspire, educate and connect people, the festival team would love to hear from you. Running from the 14th to the 31st October the festival will showcase the people, places and passion that make Essex a great place to live. Now in its third year, the festival promotes the inspirational things going on across our county, shares ideas and experiences and shows how we can all create the communities we want to see by bringing people together and building connections. Whether it is friendship or fitness, healthy living or heritage, cooking or community, social enterprise or skills sharing, or something else entirely, there will be interesting events happening across the county. Visit www.artofthepossiblefestival.com to find out more and become part of the Art of the Possible.